Mappetite | The MAPPETITE MILE: On the Cape…. 20 Jul The MAPPETITE MILE: On the Cape…. Their approach slowed as tourists beckoned them for photo-ops to which the hat-clad duo agreed. I was new to these environs but my friend, a resident for years, turned from the table and said “oh, here come the Hat Sisters” and minutes later two towering men, jolly with matching frocks, mustaches and large Lady Gaga meets Hello Dolly hats made their way towards us down Commercial Street. 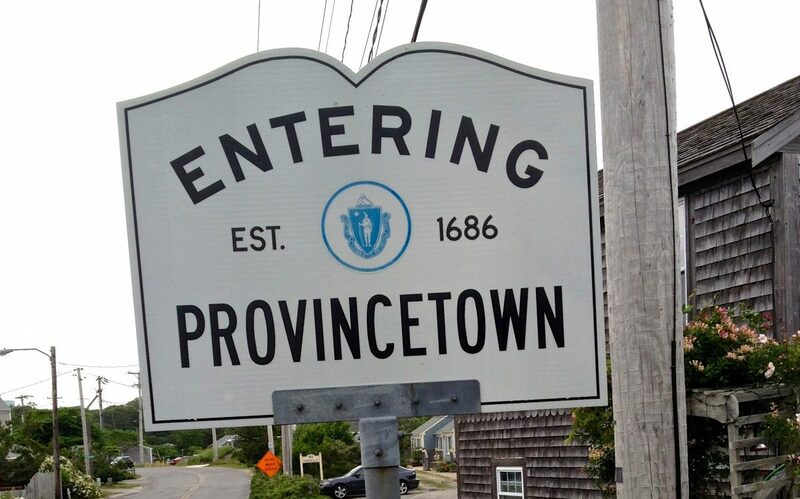 With their approach he added “welcome to Provincetown!” And, what a welcome it was to this small magical town on the tip of land that stretches out from Massachusetts and hooks into the sea to form Cape Cod Bay. Provincetown, aka Ptown, is a bit of Alice in Wonderland and gay-anything-goes set to Dickensian architectural charms, touristy Mid-Century America honkytonk and breathtakingly beautiful coastal scenery. Provincetown ups the seaside food ante with a selection of great restaurants, markets and snack stops. Amongst the squeeze of day trippers waiting and wandering between whale watching outings are fast-food stands and candy shops selling taffy and fudge. 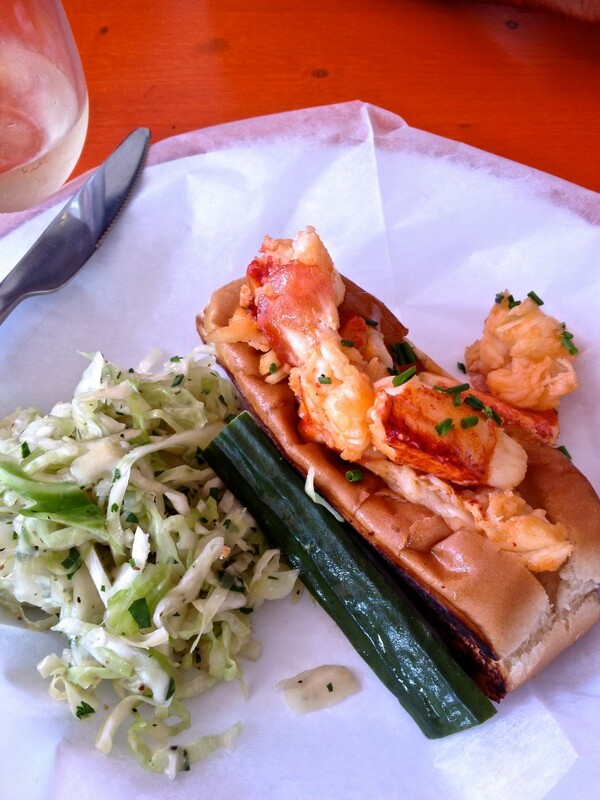 Look a little closer to JOHN’S FOOT LONG (309 Commercial Street) and RED SHACK (315 Commercial Street) for good lobster roll stops. If you’d like to up the ante head west on Commercial Street to THE CANTEEN where the lobster rolls come your way with a great menu that includes fried Brussels Sprouts and a local cod gone exotic in it’s bahn mi sandwich outfit. Back to that lobster and tourist crowds, be careful as you might end up at the perennially packed LOBSTER POT where it’s more nostalgia play then outstanding eats experience. Among all the raw bars and seafood houses you’ll be hard pressed to find an inferior oyster considering Provincetown’s short distance from Wellfleet and its bountiful oyster aquaculture. Setting is key so step out onto the dock at NATIVE CAPE COD SEAFOOD (205-209 Commercial Street) or any of the other low key waterside spots along Provincetown Harbor. 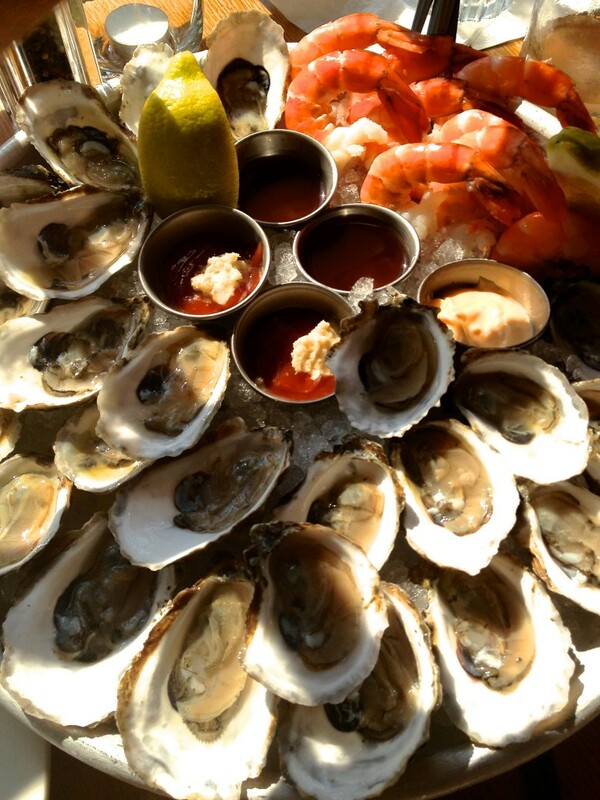 If you’re up for a walk or have a bike – a must for exploring Ptown – head a bit inland to MAC’S FISH HOUSE OR go luxe inexpensively with the oyster afternoon happy hours at THE RED INN and VICTOR’S. Both these restaurants get you outstanding meals, with THE RED INN’S water setting and classic grill mix-and-match menu (crab beurre blanc sauce anyone?!) taking the trophy for the perfect nautical meets Americana dine. VICTOR’S modern play on tapas is fresh and inventive and, with many a small-plates haunt, can be a surprisingly pricey endeavor to sate your appetite. All you want is a burger? Then it’s LOCAL 186 (splurge on the Kobe) and the NOR’EAST BEER GARDEN (don’t skip a craft beer with those duck-fat fries). CAFE HEAVEN (199 Commercial Street) and DEVON’S are Provincetown staples for hefty brunch and dinner plates. With so much to do in Provincetown it might make sense to do takeaway for a Seashore Park expedition. The organic and vegetarian-minded grocer 141 BRADFORD NATURAL MARKET has exceptional prepared and made-to-order salads, steam bar plates (Monday means exceptional Mexican) and juice bar concoctions at their main store and a tighter menu of select offerings at its step sibling the JUICE BAR (148 Commercial Street). Groceries and sandwiches are standard issue at the two ANGEL FOODS GENERAL STORE but why go basic when you have RELISH with its specialty sandwiches, salads and bakes. 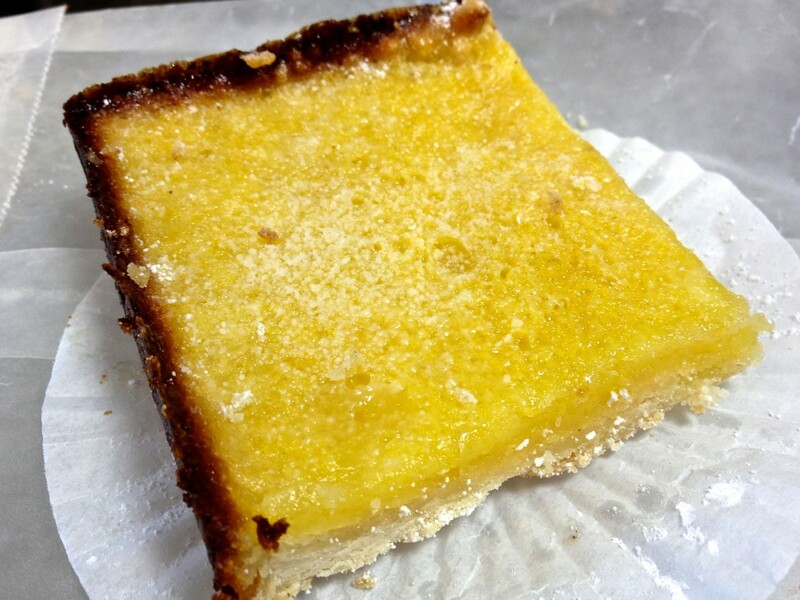 And, talking about bakes, you’ll need to make a stop at THE PORTUGUESE BAKERY (299 Commercial Street) for malasada, aka sweet fried dough, or the pasteis de nata, aka custard cups. The bakes move up a notch at CONNIE’S with cakes, cookies and an exceptional old school lemon square and apple dumpling that are tastes-like-grandma-made classics. On a warm day in Provincetown go with a cone at LEWIS BROTHERS, the town’s ice-cream institution or, better yet, summertime means swimsuit time so go lean with BLISS (322 Commercial Street) and its exceptional tangy tart soft serve fro-yo. Crave a Starbucks caffè latte all you want, you’re not going to find it in Provincetown – you will, however, find your way to the WIRED PUPPY , JOE COFFEE (170 Commercial Street) and, most notably, the KOHI COFFEE COMPANY for great java brews. At MacMillan pier whale watching is serious tourist trade but for the magic of Provincetown venture landward. If you’ve arrived by ferry you’re more or less at the center of town and aligned with THE PILGRIM MONUMENT, a granite tower housing a museum chronicling the history of the town at its base and a vantage point at the Monument’s top for amazing Ptown views. At that central point, Commercial Street, Provincetown’s main thoroughfare, is jammed with tourist-driven shops and restaurants. During the summer high season bicycles weave in and out of the crowds and the path of an occasional car as it inches along the oneway street. 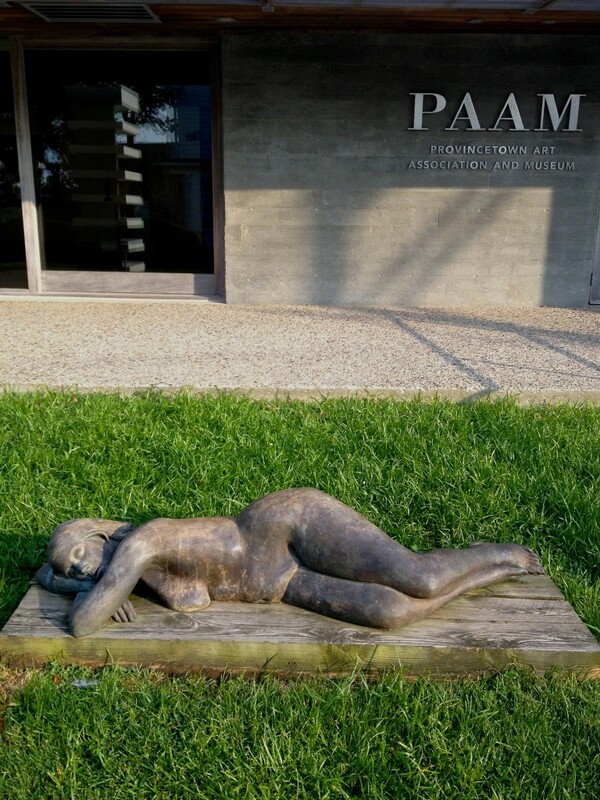 Walk in the direction of the East End and shops give way to art galleries, the PAAM, the Provincetown Art Association and Museum, and a hodgepodge of quaint houses and bed and breakfasts. Walk west to the West End and the shops give way to a spattering of galleries, bars (mostly gay) and cabarets followed by a stretch of robustly gardened homes, many dating back to the 18th century, more bed and breakfasts and inns. From the eastern end of Commercial Street a stone jetty takes you to LONG POINT LIGHTHOUSE or with a swimsuit and a bit more brawn you can cross Provincetown Harbor at low tide. The beaches of Cape Code National Seashore Park on Provincetown’s northern and western shores include amazing bike trails through dunes and forests to RACE POINT BEACH and a walk across the moors to HERRING COVE. With the CROWN & ANCHOR and THE ART HOUSE sit back for some top-notch comedy and cabaret acts or walk the main drag of Commercial Street with colorful drag queens always out and about. Ptown may be one of the last bastions of mom-and-pop shop in America which makes for an interesting and varied retail stroll. Along with touristy beach shops overflowing with t-shirts, bikinis and board shorts you also have VICTOR POWELL’S WORKSHOP for custom sandals; PROVINCETOWN BOOKS (246 Commercial Street) for your old school reading needs; MARINE SPECIALTIES (235 Commercial Street) for quirky nautical minded this-and-thats; and, JOHN DERIAN’S for a finely curated mix of vintage curiosities and home wares. And, this being Provincetown, there are also lots of galleries with art, good and bad all depending on your perspective, for sale. As the tides pull at the shores and the sands shift on these Province Lands vibrant greens of summer’s leaves change to autumnal hues and then disappear into the sea with the onset of winter’s cold. Restaurants and shops will shutter and close but, luckily, along with me they will return come spring.